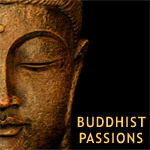 Buddhist, Looking for love and happiness. Does des4pranja1 belong in this group? I am looking for some one is kind,gentle and a good listener. Does paldey7777 belong in this group? Does venuscobra belong in this group? New to this site and just looking to see who's here. I will add more to this section later. Does bms1977 belong in this group? Does gordana belong in this group? Does manfrommuhu belong in this group?